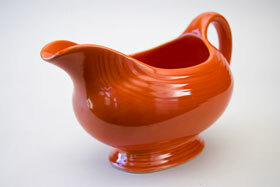 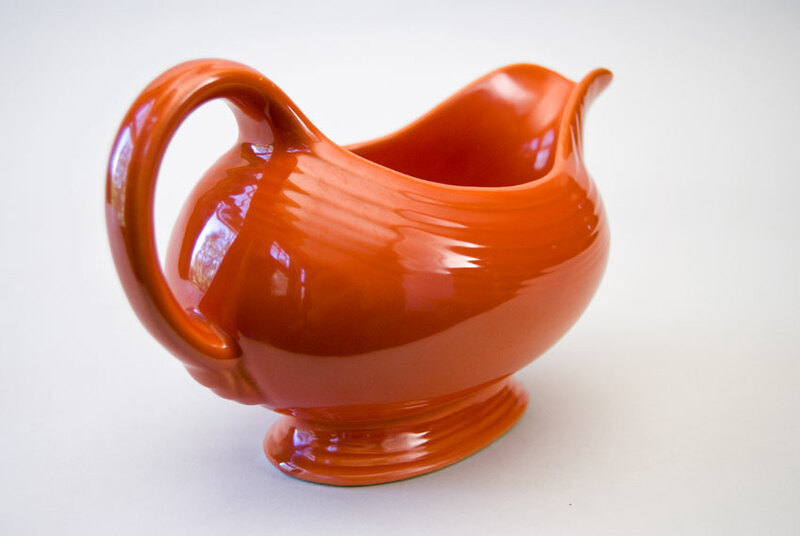 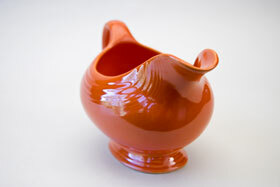 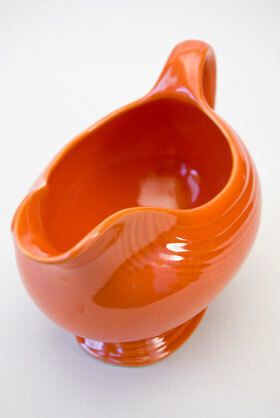 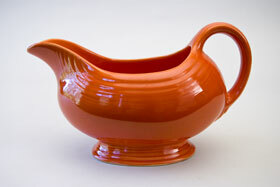 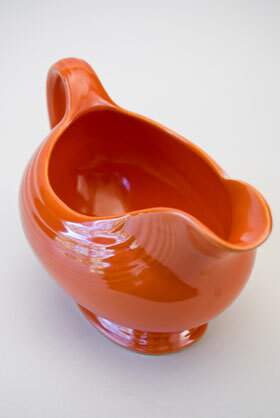 Circa 1936-1941/1959-1969: The vintage fiesta sauce boat measures nearly 8" from tip of spout to back of handle. It's got a nice little belly on it too, that puffs out just before tappering off into the concentric ringed foot. 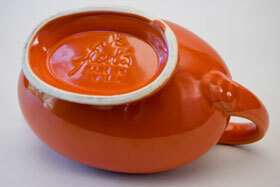 The design is superb and really showcases pottery designer Frederick Rheads vision. 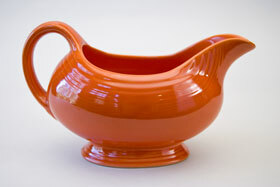 The original version is slipcast with an in mold mark "HLC USA" or "MADE IN USA" and the finished holloware would have been smoothed by hand, dipped in bold glaze, the foot wiped dry and fired. 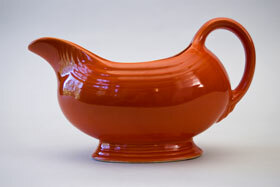 This example in original red is in excellent shape, nicely embossed, with a good even glaze without irregularities and a brilliant, like new shine - you will be very happy with this piece.